Located in the Patagonia region of southern Argentina, El Calafate was once a small and humble town on the southern edge of Lago Argentino. However, as word spread of fantastic natural attractions and incredible things to do in El Calafate, this town has blown up in popularity. It’s location on the border of the Santa Cruz plateau and the Andes makes it an amazing place for outdoor excursions. You cannot miss Perito Moreno Glacier when in El Calafate. Seated the on the edge of Lago Argentino in Patagonia’s Los Glaciares National Park, the glacier measures roughly 250 square kilometers and is 30 kilometers long and 70 meters thick, making it one of the biggest glaciers in the region. Easily accessible via boat tours, ice trekking tours, and walkway tours, visitors of all ages and fitness levels can view the glacier on some level. 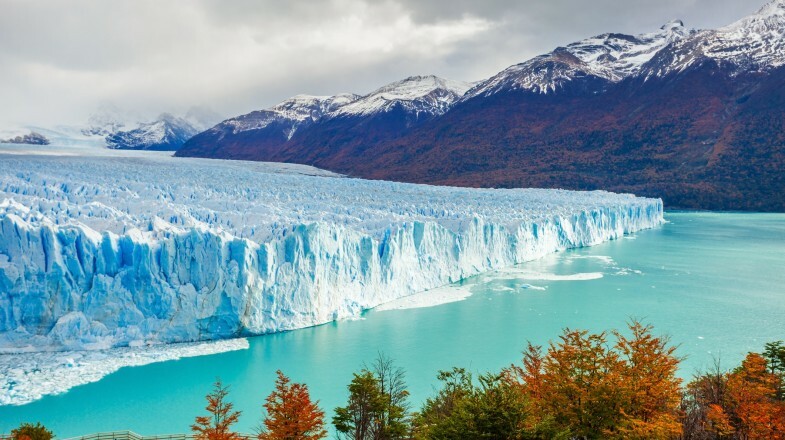 Good to know: Perito Moreno Glacier is located about 80 kilometers from El Calafate. Tour operators run daily bus trips from town to the glacier. An estancia, or cattle ranch, should be another item on travelers’ bucket lists. These ranches are set outside of town and offer visitors a glimpse at a real working farm and what rural life as a gaucho is like in El Calafate. There are many choices of estancias, but we recommend visiting Estancia El Galpon, 23 kilometers outside El Calafate. As a traditional estancia situated on the shores of Lago Argentino, Estancia El Galpon is a picture-perfect example of the beautiful Argentine countryside. They offer a walking tour that starts at the stables and carries on to the Centinela River, leading visitors right past Lago Argentino and the gorgeous Laguna de los Pajaros with distant views of the Andes Mountains and various glaciers. Conclude the tour with a freshly-prepared authentic gaucho-style feast while overlooking the scenic countryside. Good to know: You can book a tour of an Estancia with a tour company which usually includes pick-up and drop-off from your hotel in the town. Otherwise book it directly with the establishment. Perito Moreno Glacier isn’t the only massive chunk of ice in town. 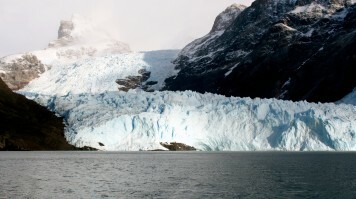 Often overshadowed, Upsala Glacier is in fact the biggest of its kind in South America and deserves a visit. The best way to explore it is with a kayak tour into the heart of the Upsala Glacier zone. The journey starts at Lago Argentino, then progresses up the Upsala Canal to the mammoth glacier. And while the 50 meters long humongous ice block is impressive in itself, instantly dwarfs visitors with its sheer size of 850 sq. kilometers, the canal journey itself is pretty awesome too! 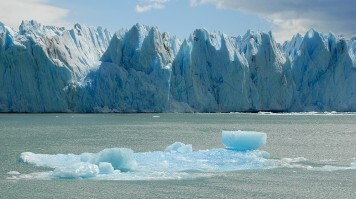 Good to know: Upsala Glacier can only be reached by boat or kayak. The best time to visit Upsala is in summer (December to February). Kayaking however is only available from November to April. 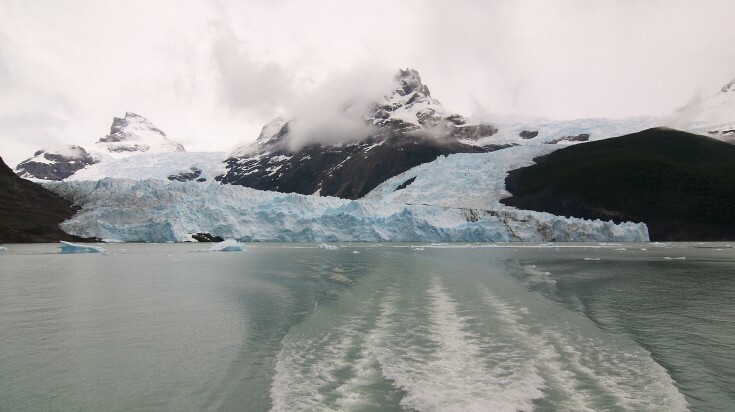 This boat tour comes highly recommended for those who want to see the most dramatic glaciers in the area all in one go. A catamaran cruise boat takes off from the northern arm of Lago Argentino and sets off on a course so spectacular that it promises to have your jaw on the floor. The tour takes cruisers right past Upsala Glacier, Seco Glacier, and the highest in the park at nearly 100 meters, the Spegazzini Glacier. The boats pause frequently to allow for pictures and the opportunity to witness large chunks of ice breaking off the glaciers and crashing into the water below. Good to know: Tours typically last 6 – 8 hours and start and finish at Punta Bandera, 47 kilometers from the city center. Transfer to and from guests’ hotels is provided. A mere 22 kilometers from the center of town, Cerro Frías is an excellent half-day excursion. The 1,300 meters high hill is not part of any mountain range, which means its summit yields unobstructed views of the surrounding landscape. 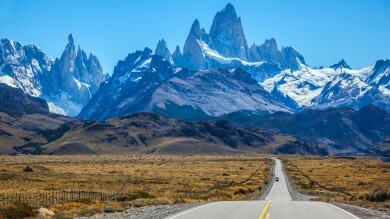 The rewards at the top are views of Lago Argentino, Mount Fitz Roy, and even the famous Torres del Paine in Chile! The added bonus is the possibility of spotting condors, cattle, hare, and wild horses. You can cycle, hike, ride along in a 4x4 vehicle, or (the most fun) horseback ride to the top of Cerro Frías. Good to know: There’s a restaurant at the summit serving BBQ and delicious local dishes for lunch and dinner. Visit the Glaciarium before embarking on any glacier adventures. Why? Because this little museum — the outside of which looks a bit like a glacier itself — teaches tourists everything they need to know about the ice giants in the Patagonia Ice Field. The museum’s purpose is to share the history, scientific research, environmental importance, and knowledge of glaciers and Patagonia. Interactive exhibitions and sound stimuli keep visitors captivated while they learn all about the town’s biggest tourist attraction. Bonus: GlacioBar is the center’s ice bar located beneath the museum’s first floor! Visitors pay USD 10* to enter and enjoy drinks from ice glasses, surrounded by ice walls, an ice bar, and ice furniture — all sculpted from glacier ice! Good to know: There’s a free shuttle bus running from the Tourism Bureau in the town center to Glaciarium. 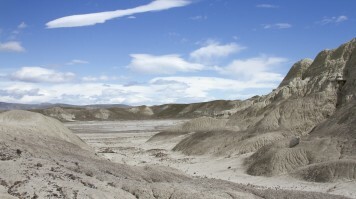 If the ancient world fascinates you, then La Leona Petrified Forest must be on the top of your list when in El Calafate. This paleontological site is located in a huge, natural depression a little over an hour outside of El Calafate. Entering this area is an other-worldly experience and comparable to walking across a massive lunar surface. 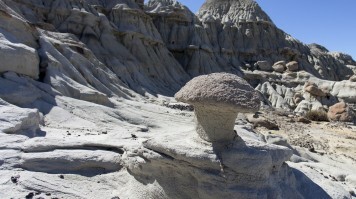 Odd rock formations and petrified tree trunks, some up to 1.2 meters in diameter and up to 70 million years old, can be seen all over the place. Equally, if not more impressive, are the piles of dinosaur fossils, bones and remains of other creatures seen along the light trekking route. All this is evidence of animals and climates that thrived long ago that has now been replaced by a vast, desert-like landscape. 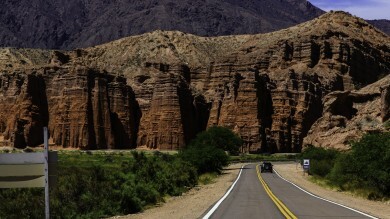 Good to know: This can be done as a mini day-trip from El Calafate. Self-drive is possible, but tour buses are running regularly. Exploring the Laguna Nimez Reserve is a nice leisurely activity to do on a spare morning or afternoon in El Calafate. The ecological reserve is roughly 1 kilometer from the town center and can be reached on foot. This area is said to house 80 different species of birds, the most impressive of which is the Chilean Flamingo. 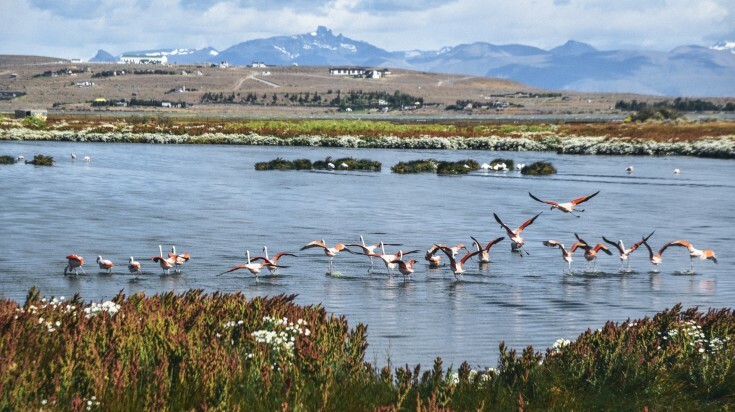 Strolling the circuit on the reserve and enjoying the soothing scenery of the lagoon with its mountainous backdrop is a favorite activity of both locals and tourists. Its proximity, accessibility and abundant wildlife make it an attraction that should be visited when in El Calafate. Good to know: Self-guided walks are perfectly fine as there are informative signs around the circuit providing information about the different wildlife. 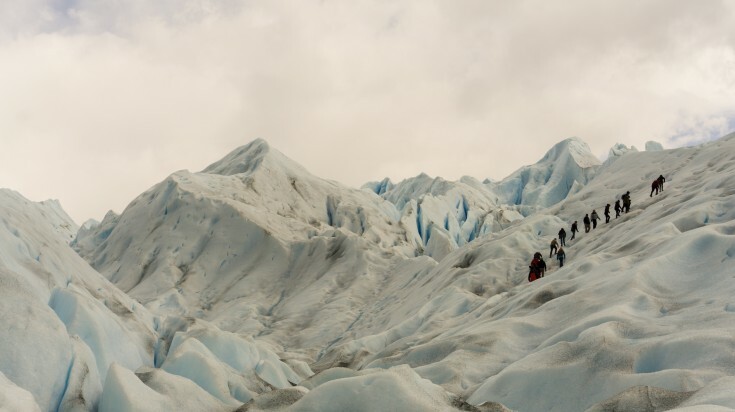 No matter the season, the Calafate Mountain Park is a perfect place to play while simultaneously appreciating the rugged landscape and panoramic views of El Calafate. The park, situated on the Cerro Huilliche, is just a quick jaunt out of town. In winter, visitors enjoy snowmobiling, snow-tubing, skiing, and snowshoeing. In the summer, mountain biking and 4x4 tours are very popular. Visitors can also admire the cool rock formation in the park and the scenic surroundings of the Andes, Lago Argentino, and the town of El Calafate below. Good to know: One of the highlights is the 4x4 guided tour across the park on the trails leading up to the Calafate Balcony, 320 meters above sea level. From here, the views are even more breathtaking. On clear days, Torres del Paine Mountains and Fitz Roy can be seen in the distance. Breaking away from the glacier scene, the Walichu Caves allows you to appreciate the area in El Calafate that doesn’t involve ice. Just 10 kilometers north east from the town’s center on the shores of Lago Argentino, is the important archeological site of Walichu Caves. They house 4,000 years old wall paintings that were the first of their kind to be discovered in the region. While the views and scenery around the caves alone are worth the drive from El Calafate, the interior of these age-old caverns will blow the minds of anyone who has anthropological or archaeological interests. Visitors can wander through the paths inside the caves and view the red, black, white, and orange-toned depictions of life through the eyes of our ancient ancestors. Good to know: There is a house that sits on the edge of the lake that serves as a starting point for the cave excursion. There are a few artifacts and information here about Walichu Caves. This is also the place to sign up for a guided tour or purchase an audio tour and self- guide instead. El Calafate calls to outdoor adventurers, nature-enthusiasts, and excursion-lovers. The town itself charms and the number of things to do in El Calafate and the surrounding area ensure there’s never a dull moment. Whether you’re trekking across one of the biggest glaciers in Argentina, wandering around a peaceful nature reserve, or seeing a real live Argentine gaucho in action, El Calafate surprises and pleases at every turn.